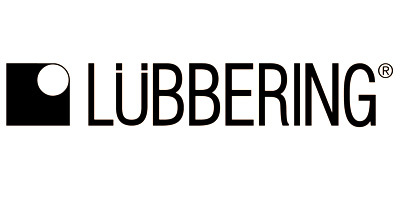 The name Lübbering has come to mean quality “Made in Germany”, for many decades now. Actually, the year 2009 was a double-jubilee for us: We not only celebrated 75-years existence of the Lübbering Group, but also 25 successful years in the field of fastening technology. – In July 1934, Wilhelm Strotkamp laid the foundation stone for the later Lübbering Group with his craftsman’s business “Elektro Strotkamp”. – The business was successfully continued by Johannes Lübbering after the death of his father-in-law in 1969. – In 1979, Johannes Lübbering developed his first product, the Roll..Profi cable drum uncoiler. From then on, the family business has continued to develop and gain expertise in various fields. – The purchase of the former Miele factory site at Industriestraße in Herzebrock-Clarholz created space for further growth in business. – The foundation of the Johannes Lübbering GmbH in 1986 made the name Lübbering known to the public as a renowned supplier of high precision tools worldwide. – The growth in business activities compelled the extension of the production facilities: In 2001, the new production site at Hans-Böckler Straße was completed. – Thanks to the creativity, commitment and great pioneering spirit of all the employees, the Lübbering Group celebrated a double-jubilee in 2009 – and is looking forward to supporting its customers with more good ideas in the following decades.